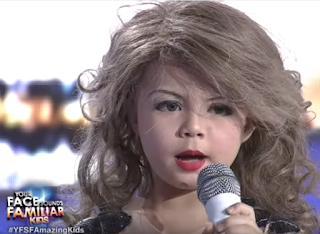 Watch this really cute viral video of Xia Vigor playing as Taylor Swift on Your Face Sounds Familiar Kids. Apparently a lot of people over there on YouTube thinks that this is wrong and it hurts their moral or whatever. I fail to see anything wrong here. Well then different people different thought process. I see it as cute and yet funny.